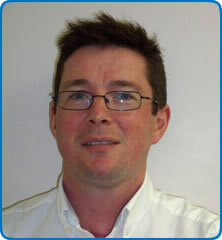 Dr Fergus Caskey completed his Masters in Public Health (Health Economics) and an MD in cost-efffectiveness of dialysis in Europe at the University of Aberdeen before completing his nephrology training and becoming a consultant in Bristol. His main research interests include: social deprivation, ethnicity, regional & international variations in treatment and health outcomes research (inc HRQoL). In 2013 he reduced his NHS activities to part time to take on the role of Medical Director of the UK Renal Registry (www.renalreg.com).